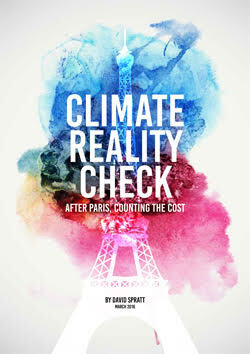 Wills Labor MP Peter Khalil finally was able to organise a climate forum for his electorate centred on the City of Moreland, with shadow minister for climate and energy Mark Butler MP attending. It was clear from the audience questions that although Labor is on the right track with climate policy, many citizens of Moreland think more ambition is needed given the climate crisis and the need for climate emergency planning. 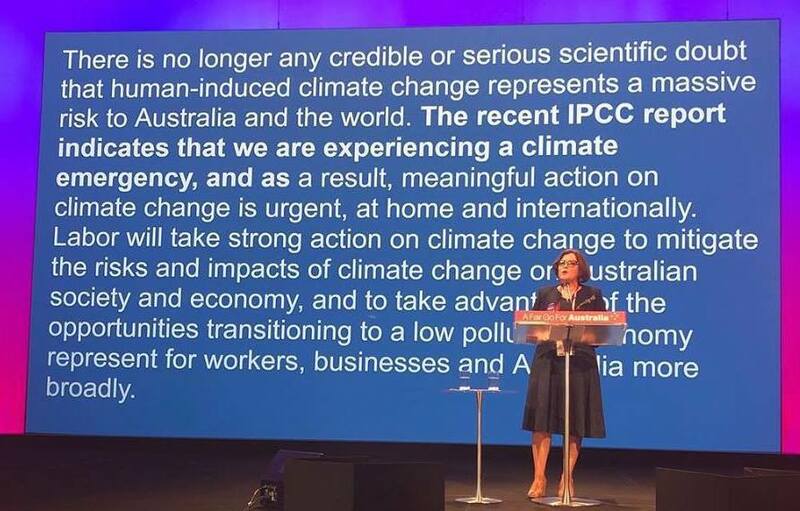 This was made clear by the most recent science in the IPCC 1.5C report published in October 2018. 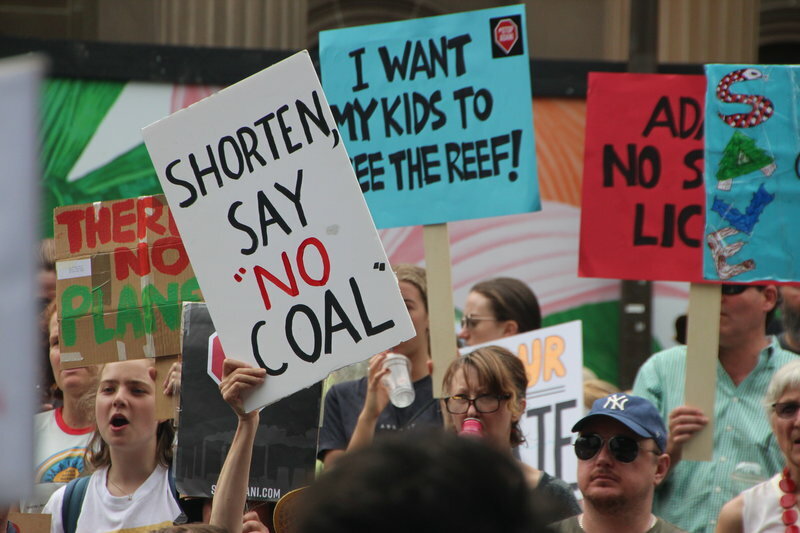 Most also want to see a clear statement and commitment to stop the Adani mine, and in fact any new coal or gas projects. Students are going on strike around Australia, and globally on Friday March 15. 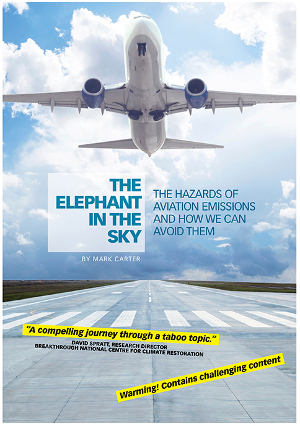 Their action comes after 30 years of little action in reducing emissions with the world now facing a climate crisis. But some politicians, mostly from the conservative side of politics, say they should stay in school. Who could resist talking to these polite kids? Well they phoned Bill Shorten’s office last Friday (Feb 8) while outside (I was there and heard the call), and the staffer hung up on them, then put the office phone line on Messagebank. 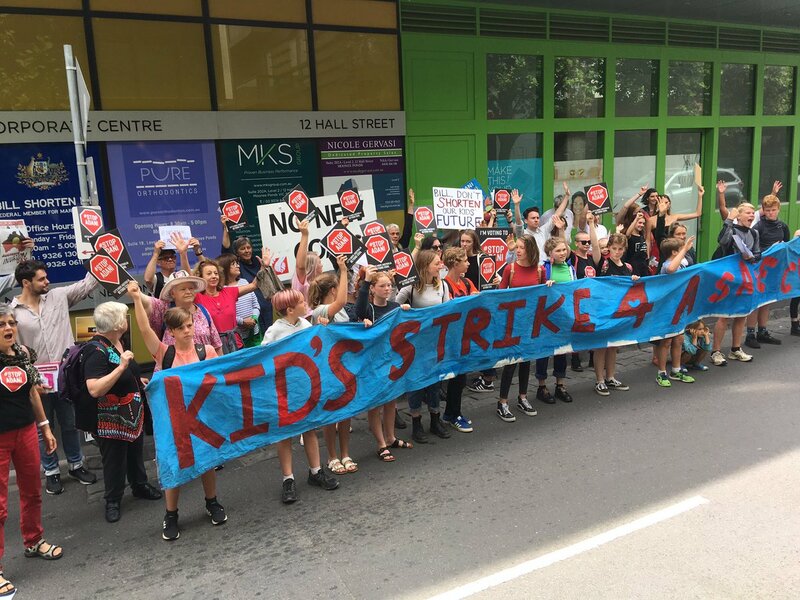 Bill Shorten should make a time to listen to the kids and their grievances and demands. That should be an essential part of his duties as an MP, Leader of the Opposition, and Prospective future Prime Minister. As a former Union leader he should know that strikers demands should at the very minimum be listened too, and that should have been an essential part of his former job to represent those demands to employers. 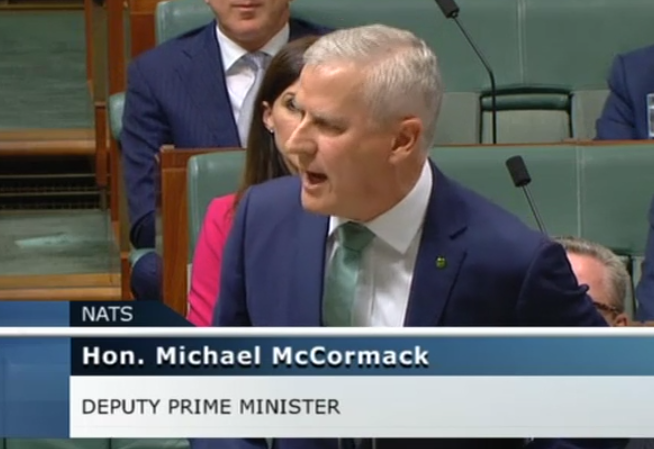 Come on Bill, give these kids a hearing so they can discuss the climate crisis, their future and put their basic demands to you. 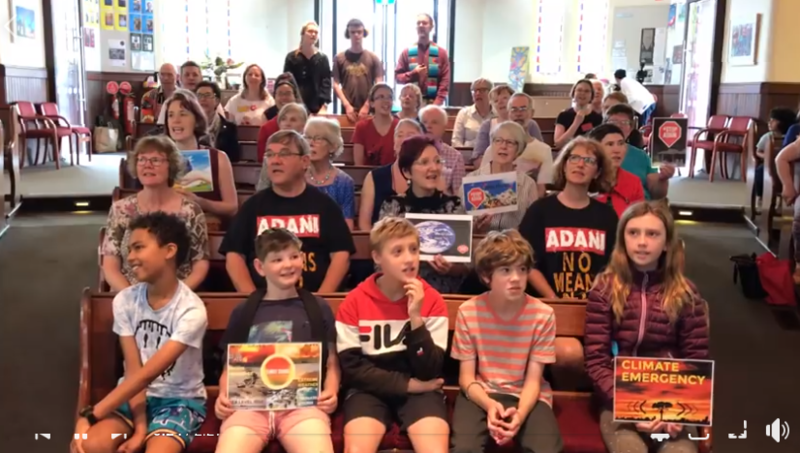 Church goers at the Brunswick Uniting Church did some carol singing on a climate change theme thanks to the support of the Australian Religious Response to Climate Change (ARRCC). 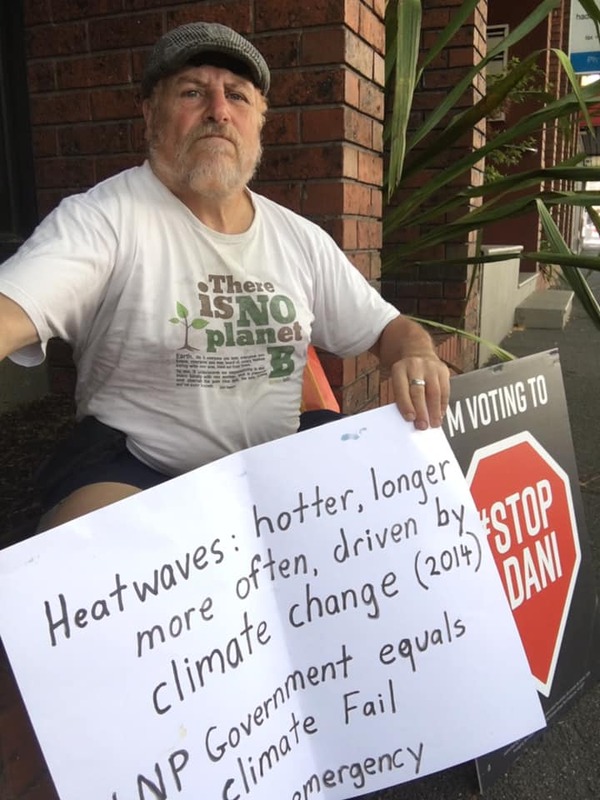 Well done to Brunswick Uniting Church for organising this event and letting Opposition Leader Bill Shorten MP, and local Federal MP Peter Khalil, and the Australian Labor Party know that it’s time to get off the fence and #StopAdani, and no new fossil fuels.